Ukraine’s Naftogaz has written to Gazprom suggesting extending the terms of the ‘winter package’ deal until the fall–winter period of 2015. There will be a trilateral meeting of Russia, Ukraine and the European Union in mid-April over the gas dispute. “Naftogaz welcomes the European Commission's proposal to discuss the follow-up of the Binding Protocolsignedby Russia, the European Commission and Ukraine on October 30, 2014 in Brussels, which would last at least until the end of the next winter period. In support of this proposal and to ensure cooperation between the companies, Naftogaz has sent Gazprom a letter in which the company expresses support for extending the "winter package,"says a statement Monday. The Vice President of the European Commission in charge of Energy Union Maros Sefcovic said the European Commission was ready to hold a trilateral meeting of the EC, Russia and Ukraine in Brussels in mid-April. Naftogaz said it’s willing to participate and discuss the proposals. Since February 27 Naftogaz has been prepaying Gazprom in sums of $15 million. Ukraine currently ows $2.477 billion for gas already delivered including penalties. Ukraine’s inability to pay for larger amounts of gas signals that its ailing economy is far from stabile. The country’s foreign exchange reserves were at an 11-year low of $5.6 billion in February, while the inability of Ukraine to pay off its debt to Russia puts into question the full implementation of the IMF’s bailout program. Ukraine is currently preparing to start negotiations with creditors over restructuring its debt. The probability of failure followed by imminent default is estimated at 30 percent by analysts queried by Bloomberg. The Moody's rating agency has estimated the probability of Ukraine’s default at nearly 100 percent. Large-scale restructuring of Ukraine’s debt is provided by the bailout program approved earlier this month by the International Monetary Fund (IMF). The restructuring of Ukraine’s bonds should save the country $15 billion over the next 4 years. Naftogaz is also planning to open a permanent office in Brussels to ensure contact with the European Commission, European regulators and suppliers. Preparations for opening the office are in their final stages, and it should be ready in April, TASS reports Monday citing sources familiar with matter who also said the office won’t be involved in commercial activities. On March 20, Ukrainian Minister of Energy and Coal Vladimir Demchishin said that Kiev might refuse Russian gas supplies from April as the Ukrainian government finds the price of its gas unreasonably high. Ukraine is expected to sign a so-called "summer package" gas deal on April 13-14 during the next trilateral meeting of Russia, Ukraine and EC in Berlin. Kiev didn’t intend to ask for discounts on Russian supplies and hoped that in the second quarter Russian gas would cost Ukraine $250 per thousand cubic meters. Russian Energy Minister Aleksandr Novak has said the price Ukraine is charged for gas would be $348 per thousand cubic meters from April 1. By that time, the Russian government will have discussed the possibility of providing discounts of $100 per one thousand cubic meters. 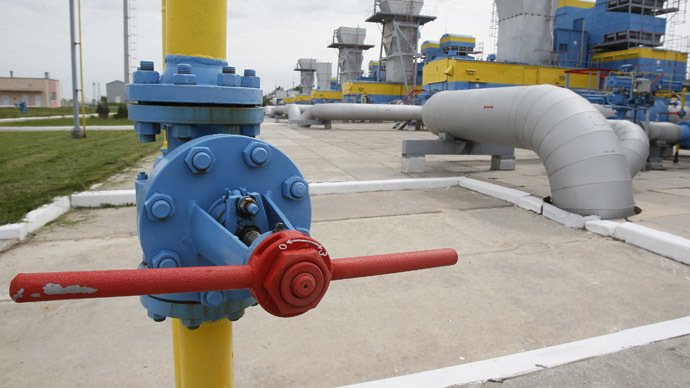 In the first quarter of 2015 the gas price for Ukraine was $329 per thousand cubic meters.